It is that time again where I provide you with my playlist for the month. 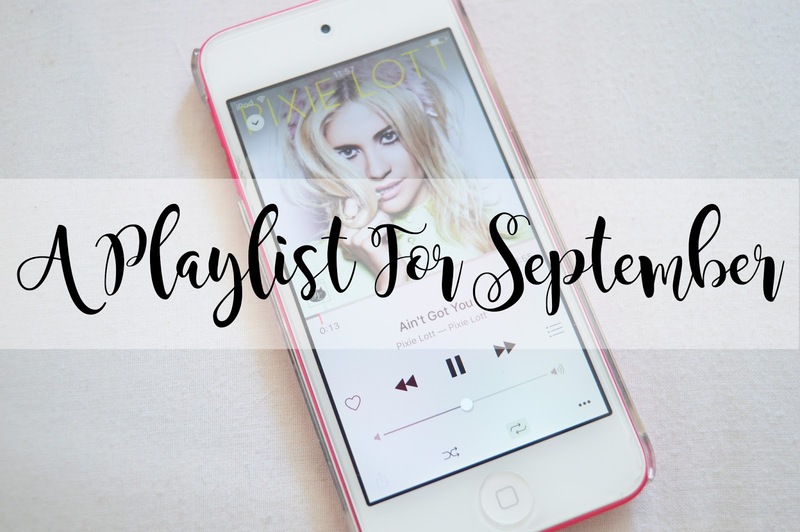 This month's playlist involves many oldies and many new songs and then all the ones in between. Recently I have been absolutely loving the soundtrack of Dirty Dancing and I can't help but sing along to every song while stuck in traffic. I have also been completely in love with the song which features in the credits of Finding Dory. If you haven't seen this film, I highly recommend watching as soon as you possibly can! After my hard drive breaking and then losing my usb for my car, I have been re-downloading a lot of music while also rediscovering old music from many years ago. So many songs have reminded me of my past in either a good or a bad way, but I can't help but fall in love with every song all over again. I 100% prefer songs from the 90s compared to songs now. Not only was the music generally better, but artists weren't affected from the media which you can definitely see in the current artists, they are all very similar. Let me know what your favourite artist is from the 90s, or even the 00s! Let me know what your current favourite songs are and the song you sing along tot he most while stuck in traffic. This playlist is so great! I'm obsessed with Sia at the current moment, so I'm always singing along to Cheap Thrills when it comes up on the radio or whenever I'm listening to my music. Hope you have a good weekend! I love this idea of this blogpost! I'm constantly looking for new music to listen to or rediscover and I have to go and listen to Total Eclipse of the Heart after reading it here. I used to love that song! The Kooks take me back to my fifteen year old self! "Sway" was one of my most played songs once upon a time!